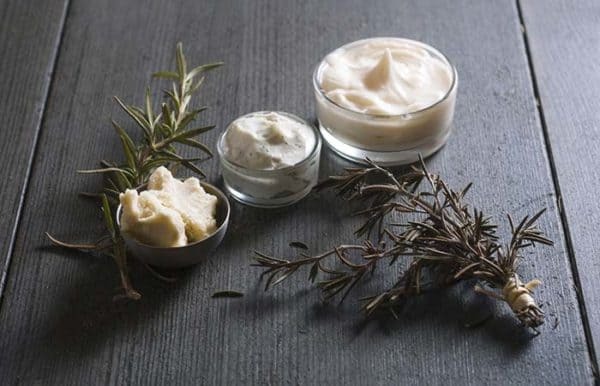 The ingredients needed to make this recipe for dry skin are the following: ¼ cup of beeswax pellets, ½ cup of coconut oil, ½ cup of olive oil and 10 drops of essential oil (patchouli, roman chamomile, vanilla, sandalwood, frankincense, clary sage, lavender or geranium oil). Take one pot and place the wax in it. Place the pot on fire to melt the wax. After the wax melts, remove it from the fire and allow it to cool. Then add the coconut and olive oil and whip well. Add essential oil. Mix well the mixture until a creamy texture is obtained. Place the resulting mixture in a glass jar and store it in a cool and dry place. 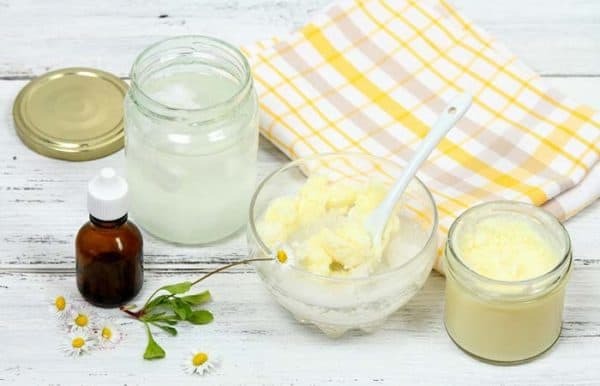 For this recipe you will need 3 tablespoons of Shea butter, 1 teaspoon of vitamin E oil, 1 teaspoon of aloe Vera gel, 3 tablespoons of apricot seed oil, 5 drops of helichrysum essential oil, 5 drops of myrrh essential oil and 3 drops of clary sage of essential oil.On a low heat, heat the butter. After it melts well let it cool down. Once it is cool, mix the butter with the oil and the aloe gel. Stir nicely the ingredients until cream consistency is achieved. Place the resulting mixture in a glass bowl. Apply on your face and body when needed. 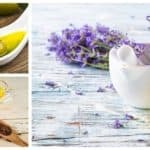 Essential oils have antiseptic properties to protect skin cells as well as to prevent skin damage and rash caused by excessive dryness.So to make this recipe you need ½ cup of Shea butter, 2 tablespoons of almond oil, 5 drops of rosemary essential oil, 10 drops of essential oil and 3 drops of tea essential oil. First, melt the butter in low heat. Then the almond oil is added. Once all this is well melted away, remove the vessel from the fire. Allow the mixture to cool (but do not allow it to solidify), then add the essential oils. Store the resulting mixture at room temperature in a glass bowl. Apply from the cream to your face and body. 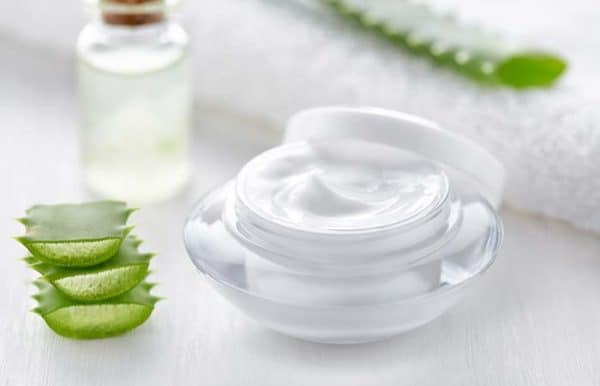 You’ll need ½ cup of Shea butter, 6-7 drops of sea buckthorn oil, 6-7 drops of rosehip seed oil, 6-7 drops of geranium oil and 1 teaspoon of avocado oil for this mask. Stop the butter. Once it softens, remove it from the fire. Add the avocado oil and mix well. Finally, add the essential oils and mix the mixture well until a creamy texture is obtained. The resulting mixture is stored in a glass container at room temperature. 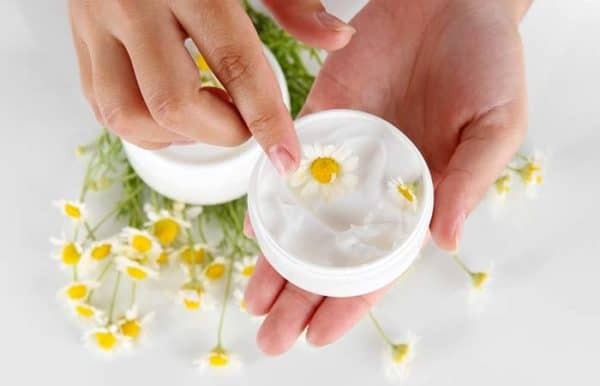 Apply from the body mixture as a day cream for face. The results are unexpected. 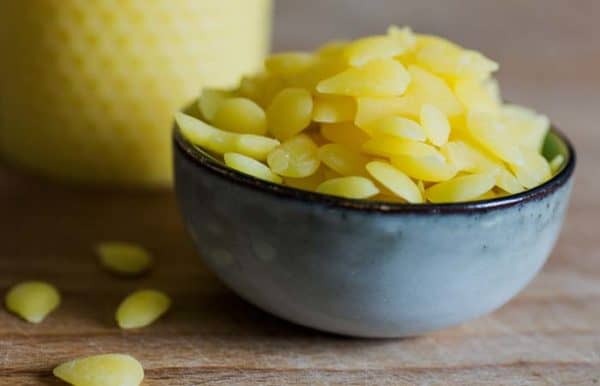 The necessary ingredients to make this recipe are the following: 1 teaspoon of chamomile tea, ½ cup of water, 1 tablespoon of lanolin, 1 tablespoon of beeswax, ½ cup of sweet almond oil, 1 vitamin A capsule, 1 vitamin E capsule and 3 drops of geranium essential oil. Place chamomile tea in water and allow to boil for about 10 minutes. Melt the lanolin and beeswax in another container. After melting, leave to cool the mixture. Add the chamomile tea. 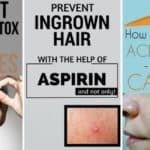 Finally add vitamin capsules as well as essential oil. Mix the ingredients to get a creamy texture. 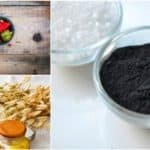 Place the mixture in a glass jar and store it in a cool and dark place. Apply the cream when you need it.